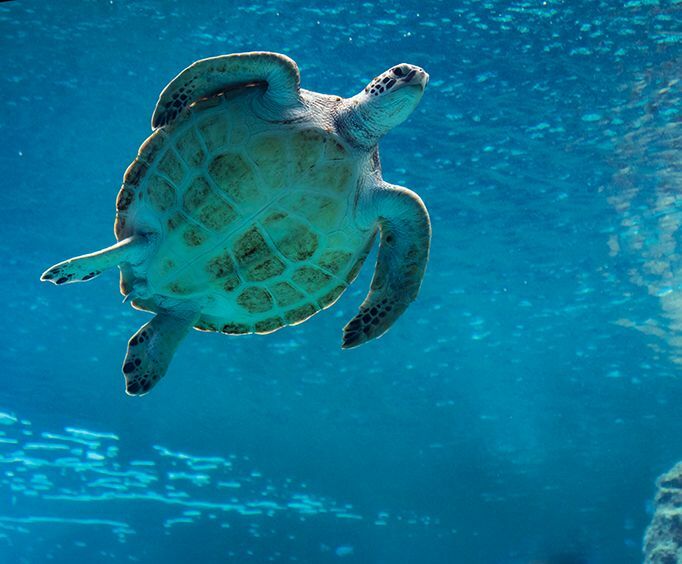 Visit hundreds of tropical and game fish at the Key West Aquarium, along with various species of shark, turtle, and tough-skinned sea urchins and sea stars visible through the glass of multiple large aquarium tanks! 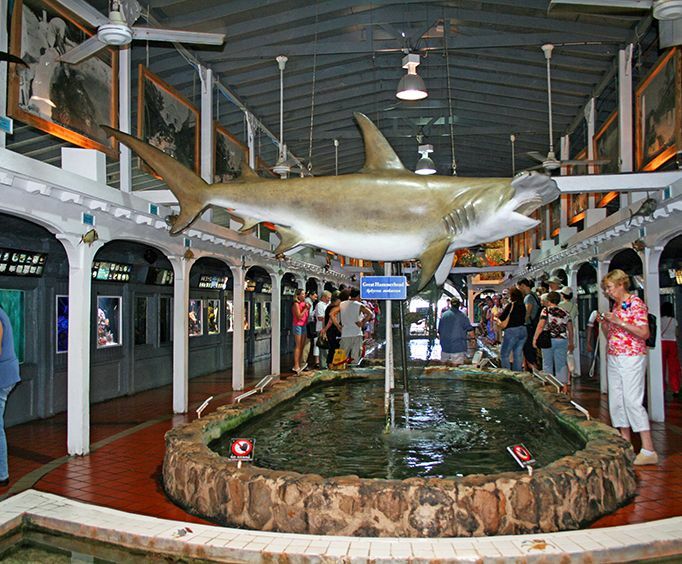 The many exhibits in the Aquarium opened in 1935 include a Key West Alligator Exhibit, Atlantic Shores, Jellyfish Exhibit, a Touch Tank, and Feed A Shark. These aquariums are home to hundreds, if not thousands of creatures from the waters of Key West, and the Aquarium is actively involved in the conservation of the sensitive Florida Keys Eco-system. The Key West Alligator Exhibit features local alligators from an Alligator Farm in Homestead, FL, and helps further education of the powerful predators. In the Atlantic Shores Exhibit, see sharks, sea turtles, game fish and tropical fish in a natural habitat that includes a living Mangrove Eco-system. The Jellyfish Exhibit features Moon Jellyfish, creatures that are not poisonous but that will deliver a nasty sting. Jellyfish are interesting creatures, since they do not posses a head, brain, heart, eyes, ears, lungs, gills, or even blood! They have complex nerve systems that will react when stimulated, but do not have the ability to think. The Touch Tank is an interactive experience where visitors can handle and photograph sea creatures as they please, and the tank includes creatures such as horseshoe crabs, giant hermit crabs, serpent sea stars, conchs, and slate pencil sea urchins, among other often docile creatures from the sea floor. For another interactive experience, you can watch an experienced guide feed various nurse, sandbar, and bonnethead sharks in their exhibit while telling visitors interesting facts about the sharks, and also dispelling some common myths about the widely misunderstood creatures. After watching the shark feeding, you will have the opportunity to meet a young nurse shark and touch it on the tail. Construction on the Key West Aquarium began in 1933 as a dream of Dr&period; Van Deusen, the director of the Fairmount Park Aquarium in Philadelphia. Construction took two years to complete, and opened to the public in February of 1935 as the first aquarium to use an "open air concept" that allowed natural sunlight to illuminate the marine displays. 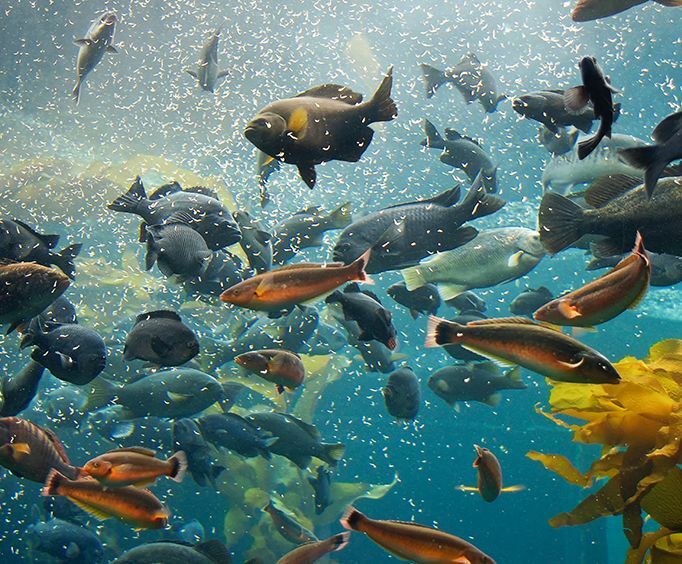 In the 1960's, a roof was added to the aquarium to cut down on algae in the tanks. Today, it is home to sharks, stingrays, turtles, tropical and game fish, and other various species of fish found in the waters of Key West. This is a fantastic destination for every member of your family, so be sure to stop by during your vacation in Key West!